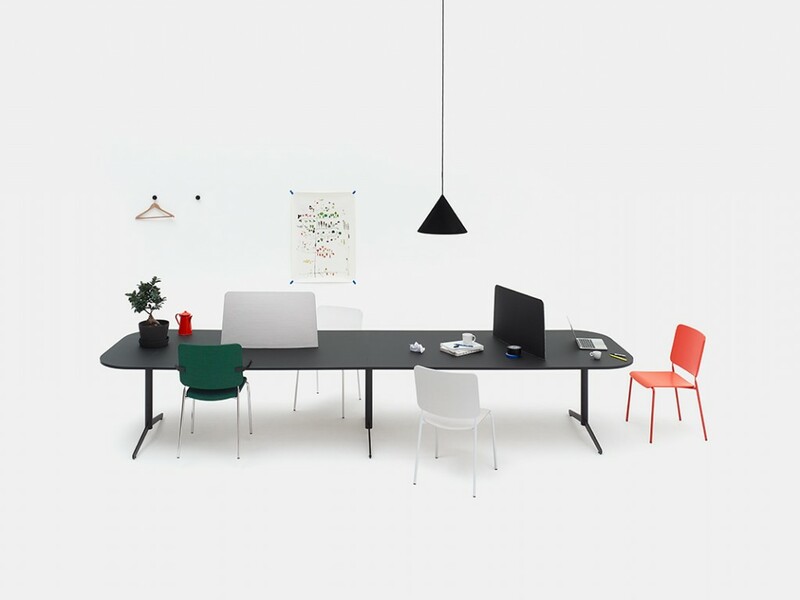 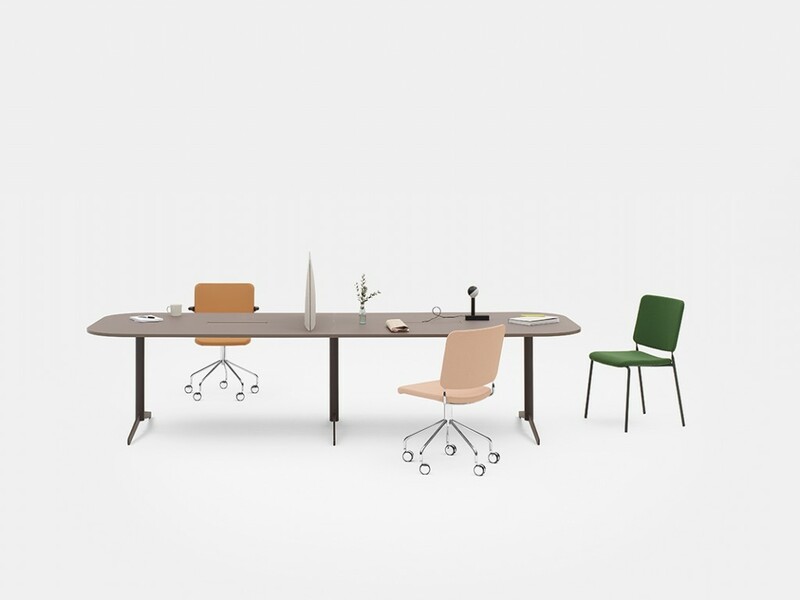 As an extension to the Feather table collection, a larger version was developed for the conference room. 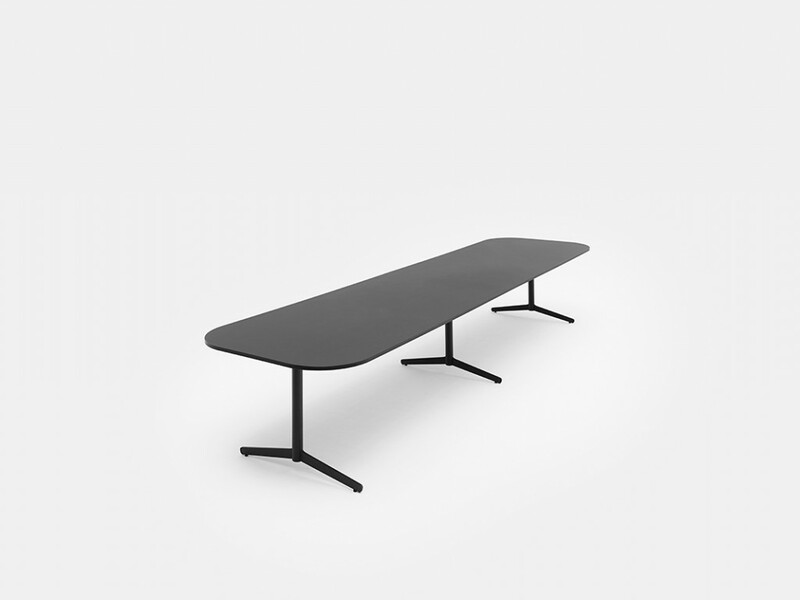 The conference table can be configured into preferable editions, by choosing the length of the table, number of legs and the corner radius. 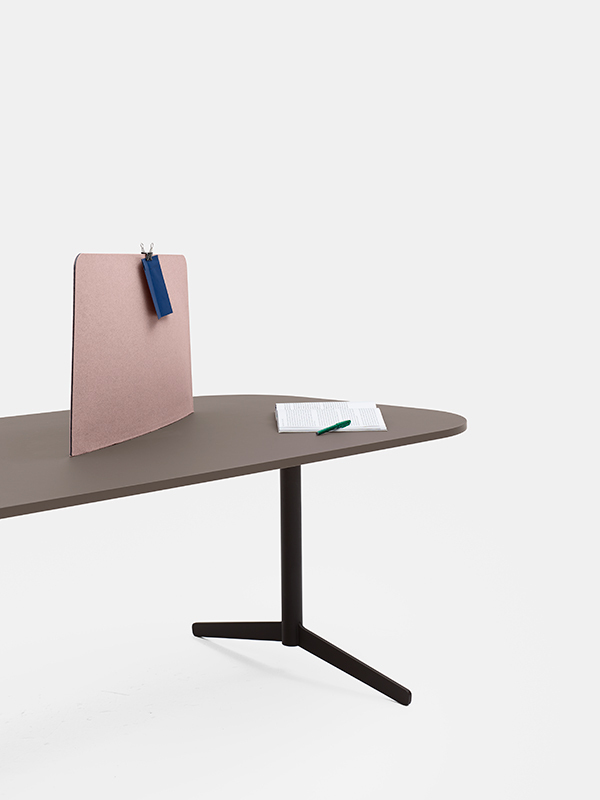 Additional features as cable slots and discrete technical connectors can be integrated.